The holiday season is upon us. It’s a time of gift-giving, merriment, and fun get-togethers. It’s also a time when we should think about those who are less fortunate than us. The holiday season isn’t so merry for everyone. There are plenty of people who are hungry and cold, living in (and out of) homeless shelters and battered women’s homes, and displaced children who don’t have adequate clothing or food, much less a pile of new toys. While many of us awaken on Christmas morning to a warm home filled with laughter and excitement, many others wake up to yet another day of trying to find enough food or some sort of shelter from the cold. It’s sad to think about, but it’s a real problem, and one that needs to be addressed by those of us who are fortunate enough to not currently be in those situations. There are many situations that you can help that many online companies do to help those to have less. Giving to charity is important during the holiday season and throughout the rest of the year as well. If you don’t have any money to give, there are still so many ways to donate to charity, whether it’s through our time or special services we can offer. Regardless of what you are able to give, here is why you should donate to charity, and how you can do it. 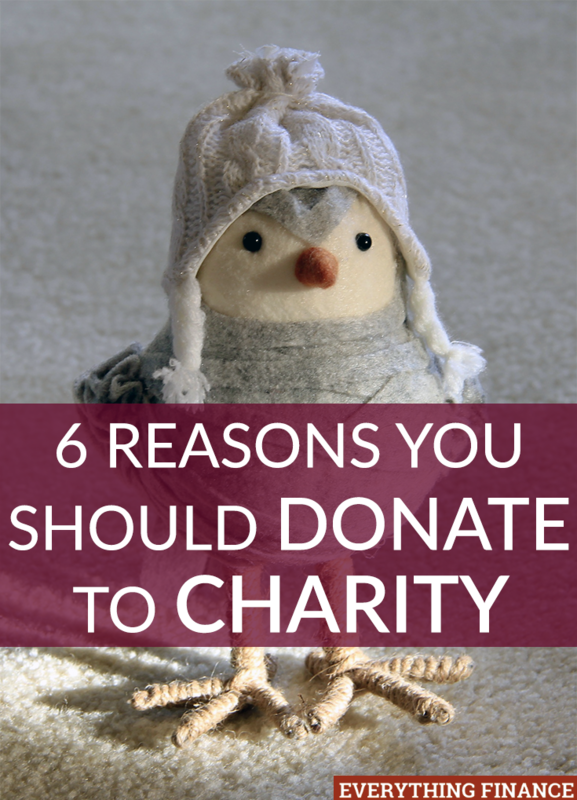 Donating to charity doesn’t necessarily have to mean donating money. Donating to charity includes another valuable asset: our time. Some charities need lots of money to operate, but most charities need lots of volunteers as well. Last year, I participated in a volunteer opportunity to pack lunches for under-privileged kids on the weekend. When I spoke to the director about the opportunity, she told me many people were willing to donate their money to the cause, but not nearly enough were willing to donate their time. They constantly had a huge need for weekly volunteers. I remember feeling surprised at her statement. I thought charities needed more money than they did volunteers, but it was not the case for this charity, and her statement stuck with me. Our time is valuable, and giving our time to help others is worth just as much (if not more) as any money we choose to donate. In addition to your time and money, there are also numerous ways you can donate a valuable service to a charity. For instance, if you’re great at housekeeping, bookkeeping, cooking, or organizing, you can donate your talents to your favorite charity by offering those services for free when they need them most. A women’s shelter, for instance, could possibly need someone to clean and organize their clothing and toy donations. They might also need help packing care packages for the women and children who come in on a daily basis. If you have a special knack for something, ask your favorite charity if they could use the help. I bet you won’t be turned down. A great way to develop character in your own children is to volunteer together as a family. Since many of us were born into financially secure households, we are often sheltered from the needs of others in this world. Volunteering at a shelter allows your children to witness the hardships that other families face. It’s a good way to let your kids learn how fortunate they are. Even young children can get in on the volunteer action. I remember going with my youth group to help serve hot meals to homeless people at a shelter. There was a job for everyone, even for the youngest kids there. If nothing else, kids provide joy to people because of the things they say, their sweet personalities, and the way they can make people laugh. There’s an important job for everyone to do, even if it’s just to provide laughter or a listening ear. The holidays are a great time to donate time and money to a charity because of growing needs and the spirit of the holiday season. Thanksgiving and Christmas draw many organizations and groups together to volunteer for certain causes, and the abundance of extra help is welcomed and appreciated. However, it’s important to remember that charities still need money and volunteers year-round. Don’t stop your charitable support once all the Christmas frenzy is over. Even though the season of giving has passed, it doesn’t mean that the shelters are empty and that everyone has a full stomach or adequate clothing come January. Pick a favorite charity to donate your time to, get to know the people who are there, and commit to volunteering there the entire year as your schedule allows, whether that means once a week or once a month. We should all be good stewards of the money we have, and that includes not hoarding our money. We need to be givers and donate to causes that are near and dear to us, whether it’s for cancer research, care for the elderly, or to Saint Jude’s hospital. Of course, many charitable donations are eligible for tax write-offs. While that hopefully isn’t the reason you choose to donate, it is important to remember (and save those receipts!). Donating our time and money feels good. It makes you feel like a better person, and it can make you immensely thankful for your good fortune in life. It reminds us how fortunate we are that we have the extra time and money to help others, and it can make us thankful that we are in good positions in our life, even when we feel like we’re running the rat race trying to pay off our debts or pay the bills. If nothing else inspires you to donate to charity, then simply do it for yourself. Donating your time, services, or money to charity is as much for you as it is for them. Have you ever volunteered at a shelter? Do you prefer to give your time or your money to charity? What is your favorite charity? I agree that remembering the needy is an important part of becoming a financially stable person. I believe money is meant to meet both our needs and the needs of others, now and in the future. My son initiated a food drive this month (he’s 4), and it has been a humbling reminder to me that not everyone has enough, and we have plenty to share. He’s even done extra chores to earn money for buying food. So sweet! And I can’t take any credit for the idea.